The new trim - ZX MT - is powered by 1.5 litre petrol powertrain mated with manual transmission and comes with added features like rear parking sensors. Honda Cars India Wednesday said it has launched a new variant of its mid-sized sedan City priced at Rs 12.75 lakh (ex-showroom Delhi). The company said it has brought in the new trim due to high demand from buyers for top spec petrol variant in manual transmission. Currently, Honda also sells an automatic version of the sedan. "The addition of new colours and standard application of rear parking sensors will further strengthen the City offering in the market," Honda Cars India Ltd (HCIL) Senior Vice President and Director (Sales and Marketing) Rajesh Goel said in a statement. The model comes with various features like six airbags, electric sun roof, automatic headlights and rain sensing wipers among others. 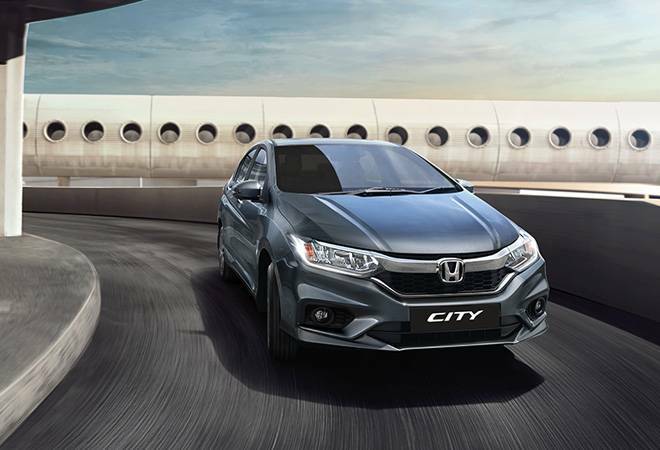 Honda had first launched City in India in January 1998, and till date has sold over 7.5 lakh units of the sedan.